Chaque élève de la classe de la section Européenne a rédigé un texte paragraphe pour se présenter et se faire connaitre. En anglais ! My name is Lucas, I’m 17 years old. I like sport. My hobbies are bodybuilding, playing guitar, urban fighting and listening to music. My favourite group of rock is “the offspring”. I have five sisters. I like dance to (tango, flamenco and hip-hop). I study accountancy. My name is Yannick Bert. I’m eighteen years old. I have a brother, he’s twenty six. I play video games and archery, I’m in a club. I speak French English and Spanish. I don’t want go to England with DNL. My name is Vatahnnlee. I’m 18. I’m from France and I live in Caluire, a city near of Lyon, with my father and my sister. I’d like to say that my name is invented and was created by combining my two sister’s name: Tahnee and Vahnnlye. Actually I’ve got 2 sisters, Vahnnlye and Nathalie. I live with only one because the other one is a little bit old to live with her father. My mother died when I was 3 years old so I don’t really know her. Same for my sister, Tahnee. At school, I study accountancy and it’s very interesting. After my formation, I’d like to study a little bit more because I don’t want to work yet. I’m actually in CSRP. My name is Rachel. I’m seventeen. I live in Lyon. I have one brother and one sister. I speak French, English, Spanish and Portuguese. I study secretariat skills at school. I want to improve my English because I want to work as an air hostess. My name is Quentin. I live in meyzieu. 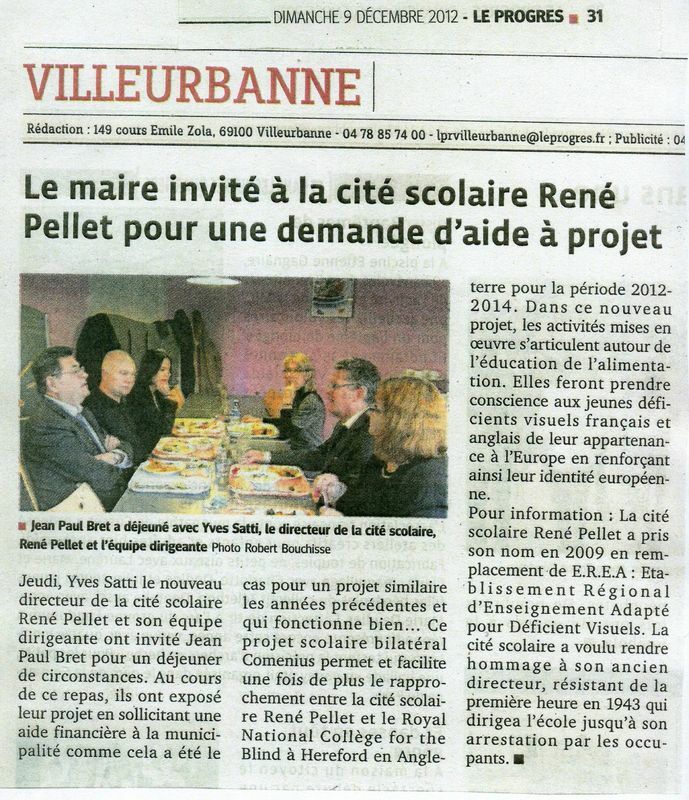 I student in “Rene pellet”. I have 2 sisters and 1 brother. I’m 17 years old. My hobbies are bodybuilding and listing to music. I want to go to England because I love this country. My name is Jessy Andrade, I’m 16 years old, and I live in Mably. I study in accountancy in the city scholar René Pellet; I like video games and speak with my friends. I don’t like dancing and mathématiques; I’m in Europeans session because I want updating my English vocabulary. My name is Camille. I’m sixteen years old. I have one brother and one sister. They are eighteen and twenty-five. I live in Lyon in Villeurbanne like to listen music and watch TV.I want go to England with DNL because I want discover the country. I speak English and Spanish at school. My name is Sabrina. I am 18 old. I have got one sister and four brothers. My sister is 23 years old and my brothers are 37, 34, 32, 27 years old. I speak French and Algerian fluently. I live in Villeurbanne. I work as a waitress. My hobbies are shopping, reading, listening to r’n’b music. I am studying accountancy. My name is Elodie. I am 16 year old, I live in Lyon in France, I have 1 sister there name is Laura. My nationality is French, I like sports and listen to music, and I study Administration. My name is Loïc .I’m sixteen years old. I’m from Lyon and live in Vaulx-en-velin. My hobbies are watching TV, going to cinema, playing videogames, and playing sport. I like listening to music 50 cents and Lil Wayne. I have one brother and one sister. They are thirteen. My name is Adrian COLLION. I’m 17 years old. I have 1 sister and 1 brother. I live in Lyon. Like listen to music. My hobbies practicing piano and clarinet and cooking. I chose the English Business because I would like to live in England and I love English. The English are very polite, nice and smile and the kitchen is delicious mainly the cookies and tea. Commentaires sur NOUS VOICI, LES DV EN FORCE ! / HERE WE ARE, VISUALLY IMPAIRED PEOPLE IN FORCE !